A membership perk from the Topps 582 Montgomery Club, 2018 Topps Brooklyn Collection Baseball is a very high-end release that is exclusively issued through Topps online. However, 2018-19 Topps 582 Montgomery Club only grants access to buy the pricey set. Collectors who are club members must still be willing and able to purchase the four-figure packs a la carte. Selling for $1,000 a box, 2018 Topps Brooklyn Collection Baseball offers five on-card autographs printed on 72-point stock with gold foil (Type 4 Crown 210) used on the fronts and serial numbering. Per Topps, the cards feature "recently recovered, lost Topps designs." In fact, the 2018 Topps Brooklyn Collection Baseball checklist is split amongst two designs with many players found in both lines. From the grand total of 105 different choices, collectors can find five signed cards, each numbered to 25 or less, in every box. See 2018 Brooklyn Collection Baseball on Topps. The base set is limited to 25 copies, while low-numbered parallels include Red (#/15), Black (#/10), Purple (#/5), and Platinum (1/1). 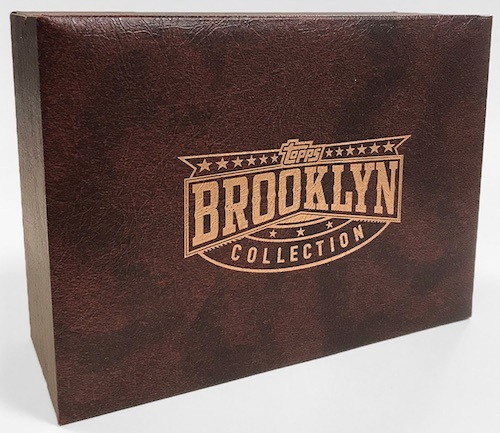 The overall production for 2018 Topps Brooklyn Collection Baseball is capped at 1,000 boxes. 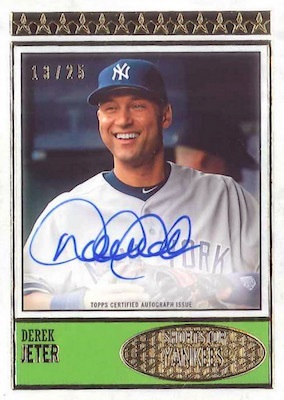 Shop for Brooklyn Collection autographs on eBay. 105 cards. Serial numbered #/25. Five autographs per box. PARALLEL CARDS: Red #/15, Black #/10, Purple #/5, Platinum 1/1. 2018 Topps Brooklyn Collection 582 Montgomery Frank Thomas BLACK AUTO 3 10 RARE! Although I got the product, I still have my doubts on why Topps included Will Clark, Bernie Williams and probably Pettite in this set, not HoF for sure, yes, very good players. 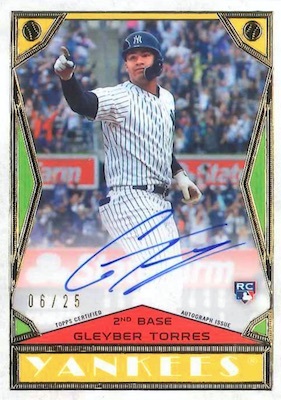 Besides that, why using the same picture used in multiple sets for Gleyber Torres Design 2? Are they photo data base limited to 2 photos per player or something like that?. They got the 4 star because of the very high end limited product…. Is Topps trying to out crap Panini? This is the type of B.S. that makes the hobby look awful. $1000 solicited as if 100 base cards & 5 autographs turns out to be 5 random autos & after the purchase Topps lists it on their site. I got smoked Just buy 5 autographs of who you want with that $1000. What a burn. I ordered this for my grandson after topps bugged me with emails. looked like their on demand sets with regular cards list and 5 autographs possible. only 5 autographs for all that money. Opened the box and got a Juan Soto, Lindor, Clemens, Synderguard, and Maddux. All of them either one of 10 or 25. Obvious really happy with the Soto and glad I did not get some of the scrubs such as Upton. “105 cards. Serial numbered #/25. Five autographs per box.” That’s what I ordered for $1000 & that was steep. I didn’t see the Bendover set state ONLY 5 Autos in this “set” No Base Cards. But then I wouldn’t have bought it. 1000 sets x $1000 = 1 Mil Fix it or spend it on legal fees. I also was under the impression that you get a base set with the $1,000.00 fee and also feel quite scammed. This is worse than Pokemon! Shame on you Topps! Can anyone share the exact wording from Topps that states the set includes a 100 card base set. I can’t find it anywhere and must have totally missed that but am super pissed if they screwed us over on those and plan on giving them an earful! !